Christ Church predates Paris’ Notre Dame Cathedral by almost a century and Sainte Chappelle by 200 years. 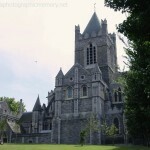 Christ Church Cathedral is located in the heart of what was once medieval Dublin. Unfortunately, the surrounding area lost its medieval charm to modern necessities, so the cathedral sits among government buildings. While it’s not quite the picturesque setting of old, I’m glad Dublin preserved this millennial masterpiece (let’s not quibble over 14 years)! A visit to Christ Church is about more than stained glass windows, dusty history and ancient prayer services. 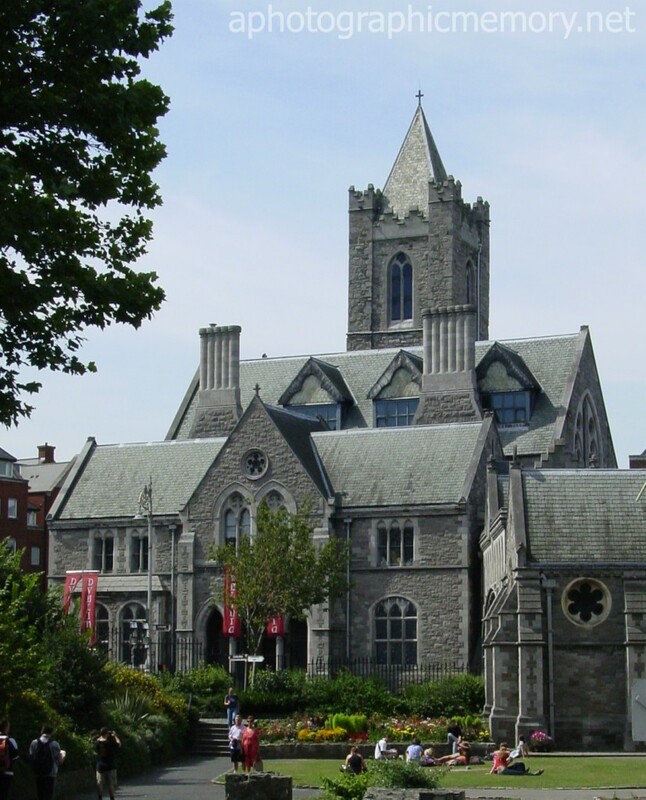 Tripadvisor ranks Christ Church among the best places to see in Dublin. Dine in the Cathedral Cafe, located in the 12th century crypt (is that creepy or cool?). For more information about Christ Church and related activities, visit the Cathedral website. 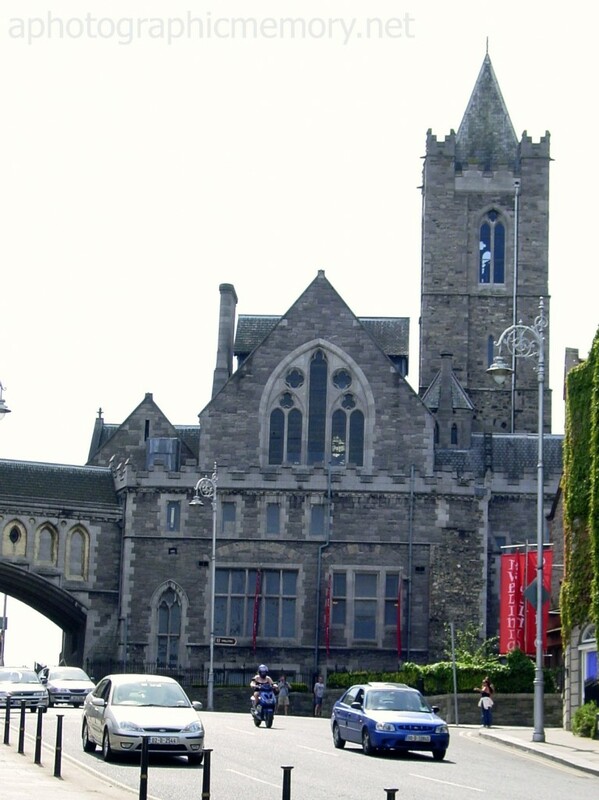 Considering a day or weekend in Dublin? Here’s a list of other attractions nearby. Be sure to confirm all attractions before scheduling a trip since historical sites close for refurbishment from time to time. I would like to thank Steffanie Lafors of A Photographic Memory for sharing her photos with me. I hope you enjoy this week’s look into Ireland as we celebrate St. Patrick’s Day all week long! Come back tomorrow as we explore Ireland’s pubs! 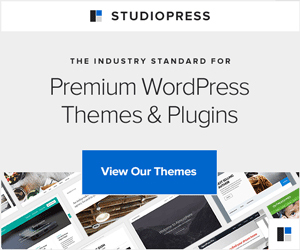 Sign up for posts by email and get each one delivered into your inbox. You can also join the conversation on Facebook and Twitter. Amazing! I’ve always wanted to go to Ireland. Hope we get there someday! We almost added Ireland to our itinerary this year. Still need to. The crypt sounds intriguing. The locals call the cat and the rat “Tom and Jerry.” Cracks me up! I’d love to renew my wedding vows in Ireland. If you need any tips, we renewed our vows in Ireland 2 years ago. It’s an incredible place to get married all over again. There are many Irish wedding traditions that can make a renewal fun and personal. Ahhhh just looking at these pictures I feel the chill wind and embrace the enormous peace I always feel in Ireland. I don’t know… maybe its the deep history, or the people, or the weather… probably a combination of all of the above that leaves visitors feeling like they get to take a morsel of peace home with them! So glad to connect with you from voiceBoks! I’ve met many wonderful blogging friends through vB. Thanks for visiting. I hope you’ll be back soon. The building looks amazing and I hope that they keep it as a natural part of their historic culture. Thank you for sharing, a piece of Ireland’s history.